Sometimes in mall , You are not get a right square space or standard places , What are you going to do ? 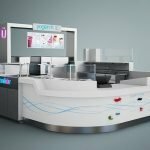 Do not worry , Unique Kiosk designer will custom a perfect kiosk for you. The following design is a long and narrow lease in mall . Because every mall and every places are different , you need to take different element into consideration before you start a franchise business. This kiosk is design is perfect for those places. Even you use this kiosk design as a food stall or food shop coffee bar are suitable. 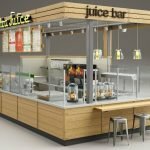 How to start a small food stall in mall ? When you planing to open a food stall in mall . A perfect and functional food kiosk are so important. 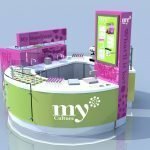 Spend more time and effort and get a perfect food display furniture will help you a lot in future business developing. Check the blow design if suit for you shop, We also provide custom service if you want to different style or design. 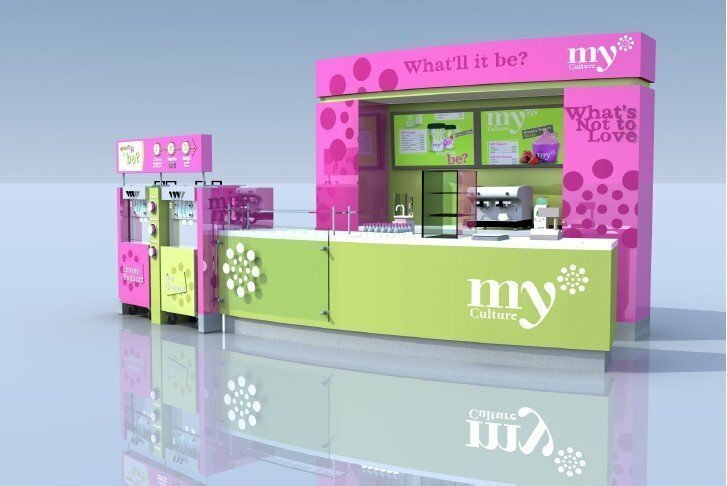 Here’s another view of this straight line food kiosk design. Two self serve machine are installed on the two sides of the kiosk , while a little curved front counter give a perfect line features. Customer can easy get what he need and enjoy great customer experience. 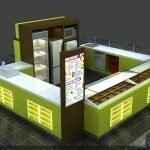 Are you planing to open a ice cream kiosk , or gelao kiosk in mall ？ With attractive design and user friendly style ,This frozen yogurt kiosk can help you boom you business and get a lot of customers. Contact us today and get a discount price. 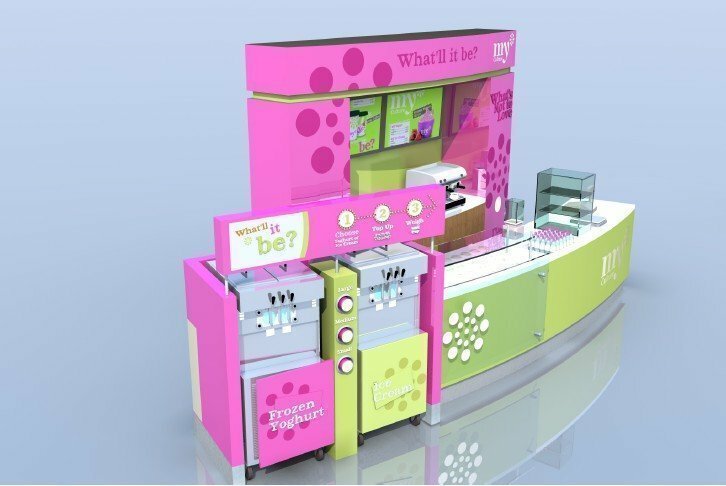 We provide mall used retail kiosk as well , teeth whitening kiosk , and brow bar furniture are our main products. Share our website and save it , You maybe use it in future when you want to start you own business.